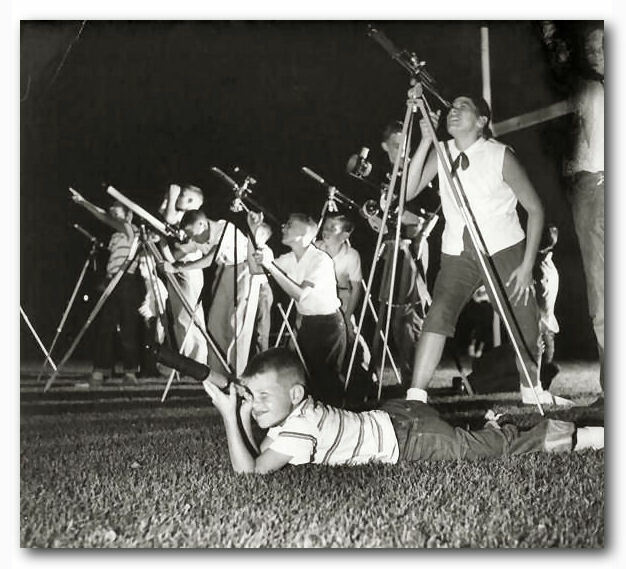 Established in 1949, the Fort Worth Astronomical Society (FWAS) is one of the first adult amateur astronomy clubs formed in the country, and we are one of the largest, with an active membership of over 200. 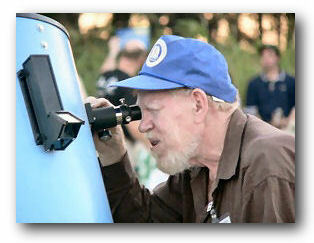 Our members have a wide range of experience from beginners to professional astronomers. Historically, FWAS has taken a positive and active role in sharing our expertise and time with the public. We conduct numerous star parties and astronomy-related presentations for local schools, clubs, and other organizations throughout the year as part of our public outreach. We invite and encourage our members to participate in the many activities we have to offer. Helping out with star parties or serving as a club officer, organizing outreach events for the public, contributing to our award winning monthly newsletter, or just using our dark site locations to explore your own specific interests in the hobby of amateur astronomy. These are just a few of the ways you can get involved. The best part is no experience is required. A simple desire to help is all the experience you need. 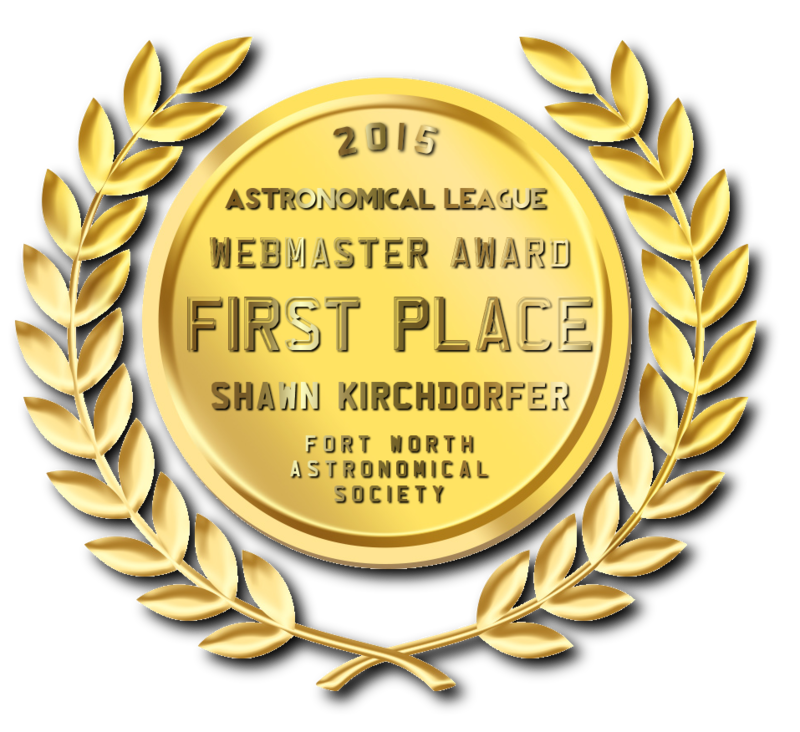 FWAS has many experienced amateur astronomers who are ALWAYS willing to help individuals who are new to the hobby. Don't hesitate to ask us anything. Our membership knowledgebase spans decades of experience, from the seasoned veterans, all the way down to members who have just taken up the hobby recently. FWAS is also a federally registered 501(c)(3) nonprofit organization and a registered charity with the state of Texas. Donations to the club are tax deductable for U.S. taxpayers under IRS rules. Donations may be given by using our secure PayPal site which will be identified as a "donation" on the receipt for your tax purposes. 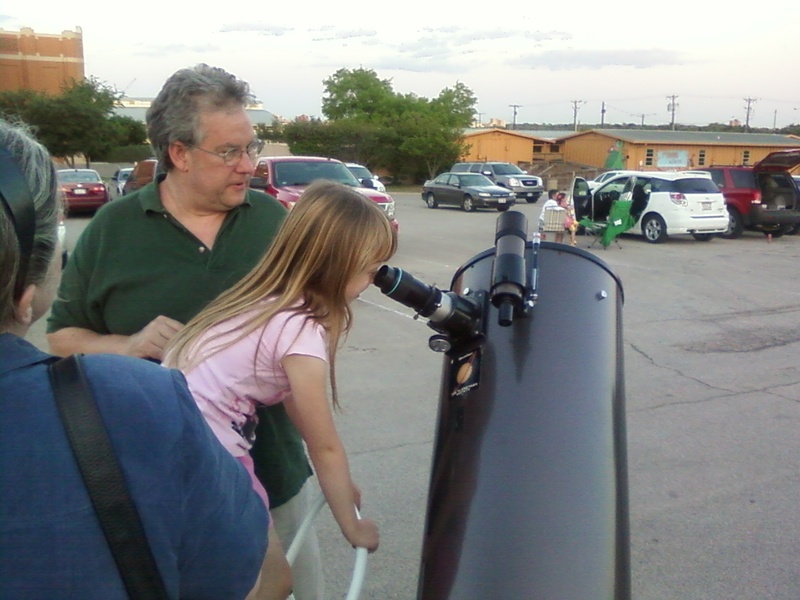 Helping people who are interested in the hobby of amateur astronomy is what we are here for. From how to setup and/or collimate your telescope, to projects on building your own telescope, to finding stuff to look at with your "scope", or just giving advice on which piece of equipment or accessory might work best for your budget and needs, our members can help. Come to one of our public star parties or to our monthly meetings and bring your questions and your telescope, and our members will be glad to help - all for no charge, of course! "See the universe with your own eyes"! We'd love to hear from you! If you can't find the answer to your question on our Frequently Asked Questions (FAQ) or Club Meeting Calendar pages, feel free to use any of the methods below to contact us. 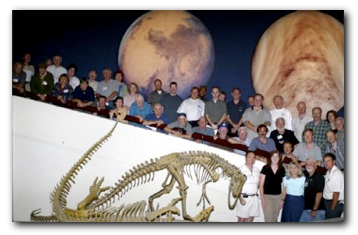 (Above) FWAS members on the entry ramp to the old Noble Planetarium. Help FWAS purchase a new solar telescope and supplies to use for public and educational outreach. Our goal is to raise $3000. All donations are tax deductable. FWAS is a 501(c)3 non-profit organization. Click HERE for more ways to help FWAS!